German government leaders joined Daimler executives to kick off the current expansion of Daimler's Kamenz plant in Saxony. Germany's multi-year strategy of encouraging projects to invest in its less developed regions continues to fan economic development in the auto industry. Last year, China's Beijing WKW Automotive Parts Co. announced it would build a $1.2 billion electric-car factory in Saxony, next to the Polish border, north of Goerlitz. Government officials readily approved incentives to help fund the project, but early this year, Beijing WKW cancelled its plan. Officials say they are still receiving interest from other automotive companies in the area. Chinese battery maker Contemporary Amperex Technology Ltd (CATL) said on July 9 that it will build its first production site in Europe in Erfurt in the former East Germany after agreeing a major contract to supply BMW with lithium-ion batteries. Germany provides a sliding scale of cash incentives to encourage businesses to invest in regions around the country. In general, the closer an industrial site is to Germany's eastern border with Poland, the greater the allowance for investment incentives. 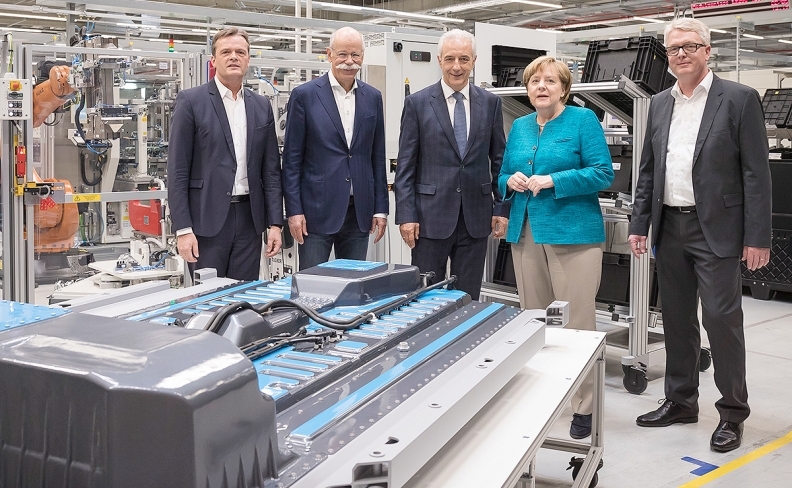 This region, particularly to the south in Saxony, has attracted such high-tech investment as Daimler's Kamenz battery-pack plant near Dresden. Last year, Daimler announced a further investment there of 500 million euros ($586 million) to build a second plant there making lithium-ion battery packs. The new plant will double the number of employees at the site to 1,000. Volkswagen announced a major infusion in its factory in Zwickau, Saxony, close to the Polish and Czech borders, converting the plant to build electric cars, starting with the ID compact late next year. Borbet, a supplier of alloy wheels, last year opened a new plant in Goerlitz, Saxony, just four miles from the Polish border and right in the highest incentive zone. Germany's so-called GRW cash grants will pay up to 40 percent of a project's investment cost, up to 750,000 euros, according to the German Trade and Invest organization. This story appears in the 2018 Guide to Economic Development in the Global Auto Industry. To view the entire supplement please click here.